What Makes Us Have Crooked Teeth? - Adelberg Montalvan Pediatric Dental PC & Orthodontics too! What Makes Us Have Crooked Teeth? At the offices of Adelberg Montalvan Pediatric Dental, your child can have a number of service types such as preventative and diagnostic, aesthetic, restorative, pain-free and sedation dentistry, interceptive orthodontics, as well as holistic dentistry. It is essential for children to have good dental care so that they can avoid having problems with their teeth later on. 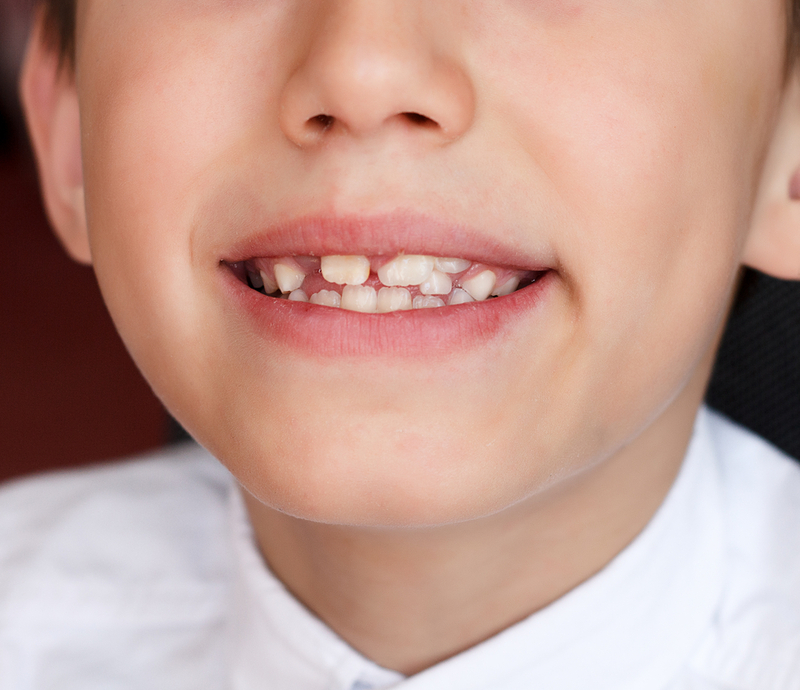 One of the most common issues that arise from inadequate dental care is that children grow up to have crooked teeth, the severity of which varies. The most severe cases are because of trauma, but the most common reasons are losing the baby teeth too late or not having a dentist assist in the process. The new teeth grow crooked, because they had to struggle for space before the baby teeth fell out. Later, the teeth start to position themselves in a way that fills out any gaps along the jaw. There are many things that can prevent the crooked teeth, and it all starts with seeing the dentist on a regular basis. At Adelberg Montalvan Pediatric Dental, the dentists and orthodontists take time to explain to the child and the parent about the state of the teeth, the jaw, any concerns, and all corrective options. The professionals at the offices Adelberg Montalvan Pediatric Dental value good communication, and we ensure you will have a pleasant, informative visit. For more information on crooked teeth and corrective procedures, contact us.